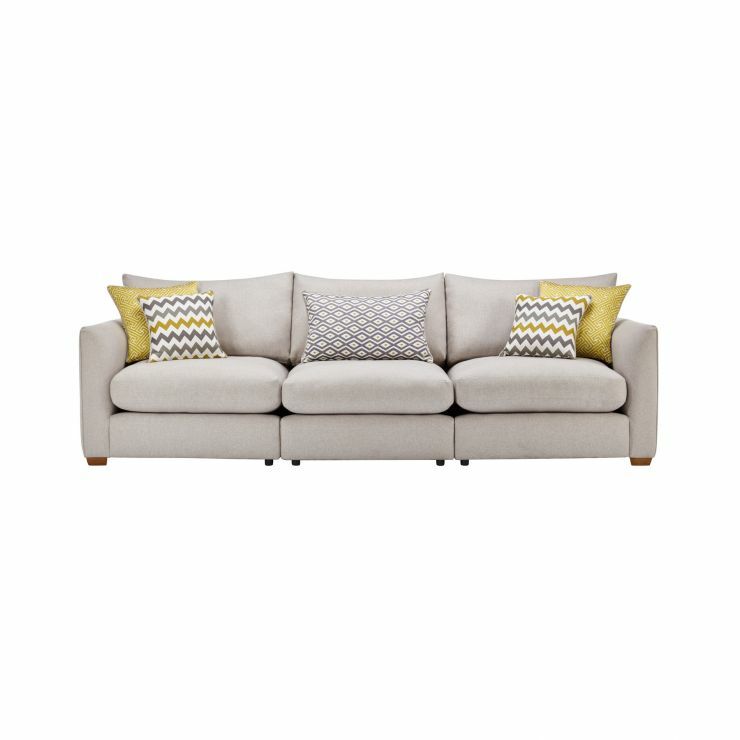 Transform your living room into a welcoming retreat with the Maddox Modular Group 9 three-seater sofa in Eleanor Silver. With simple, modern styling and sleek finish, it’s a versatile addition that will bring comfort and style to any home. 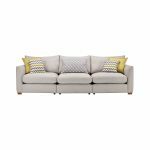 Subtle piping detail on the arms and cushions adds to the modern feel, while a solid hardwood frame and oak feet promise lasting durability. And with fibre-filled cushions that provide a ‘sink in’ feel, it’s the perfect place to truly unwind! Pair it with other pieces from the Maddox range to create a cohesive look in your home.